Manipulative therapy is a system of examination and treatment that is beneficial for a wide range of complaints, including those that effect the spine, muscles, joints and other systems of the body. It takes an holistic approach to examination and treatment, which enables the therapist to understand the root cause of a persons pain or injury. Manipulative therapy includes manual techniques such as massage, manipulation, mobilisation, and often includes advice on exercise, lifestyle and nutrition. How Can Manipulative Therapy Help You? Treatment of spine related complaints including low back pain, sciatica and neck pain. Treatment for muscle aches, pains and injuries that occur from work, sports, posture and stress.  Manipulative therapy takes a hands on approach to examination and treatment, aiming to identify and treat areas of dysfunction that are often distant from the site of pain or injury. Many practitioners believe where the pain is, the problem is not, and therefore, aim to identify and treat the root cause. Many therapists believe in treating the whole person, and therefore, the effects from Manipulation Therapy can be far reaching. Therapists aim to influence a persons physcological health (mind), biological health (body), and sociological health (spirit). The osteopathic approach to a persons health is very unique. However, with that uniqueness comes curiosity and questions about osteopathy and the role of the practitioner. Common questions include, what is the difference between an osteopath and a chiropractor? do osteopaths only treat the spine? and, why do osteopaths make joints click? Below we answer these frequently asked questions, we hope you find it helpful. However, if you have any further questions, please do not hesitate to Contact us. What is the difference between Massage Therapy and Manipulative Therapy? Massage involves the therapeutic application of the hands and other parts of the body to help reduce muscle pain, and the effect that muscles have on pain, injury or illness. Manipulative therapy involves the use of the hands and other parts of the body to mobilise, massage, stretch and manipulative muscles and joints with intent of improving function and reducing pain in local and distant parts of the body. Do Manipulative Therapists only treat the spine? Manipulative Therapists specialise in many types of complaints including those that effect the movement system. The movement system is comprised of all the muscles, bones, joints, tendons and ligaments and is under direct control from the central nervous system. The central nervous system is the command center of the human body, whilst the cardiovascular, respiratory, lymphatic and other systems make movement possible. 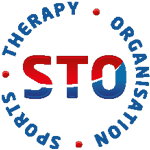 It is through the assessment, treatment and manipulation of these systems that manipulative therapists are able to restore optimal health and function (Homeostasis). Why do Manipulative Therapists make joints click? Manipulative therapists utilise joint mobilisation techniques that sometimes result in an audible clicking sound as the joint surfaces are naturally mobilised. Various grades of joint mobiisation exist, varying from grades 1-5. Grade 1 mobilisations are small, subtle joint movements, whilst grade 5 mobilisations are known as high velocity low amplitude thrust techniques. Manipulative therapists use these technique in order to restore movement, function and to reduce pain of the spine, joints and other areas of the body. If you would like to learn more about Manipulative Therapy, you may like to read this article which describes the history and development of manipulative therapy throughout the world.